The fortunes of Uber Eats, the fastest growing part of Uber right now, are tied to its reliance on a handful of partnerships with big chains that include Starbucks and McDonald’s, Uber’s IPO filing documents show. Uber Eats’ exclusive agreements with international restaurant companies aided the company in generating $1.5 billion in revenue last year. The number easily surpassed Grubhub’s $1 billion revenue output over the same period, though Grubhub operates only in the U.S. and a handful of international cities. But the food deliverer also confirmed what the restaurant industry has known for some time: Chain partners pay discounted rates for Uber Eats’ services that are less than the 30 percent commission fees it demands from smaller unit restaurants on its platform. And it is taking its toll. The move is intentional, Uber Eats notes in its S-1 SEC filing. The company plans to significantly grow the number of consumers using its app; currently at 15 million active monthly users across 500 cities. By comparison, Uber’s ride-hailing business sports 91 million monthly users in 700 cities. 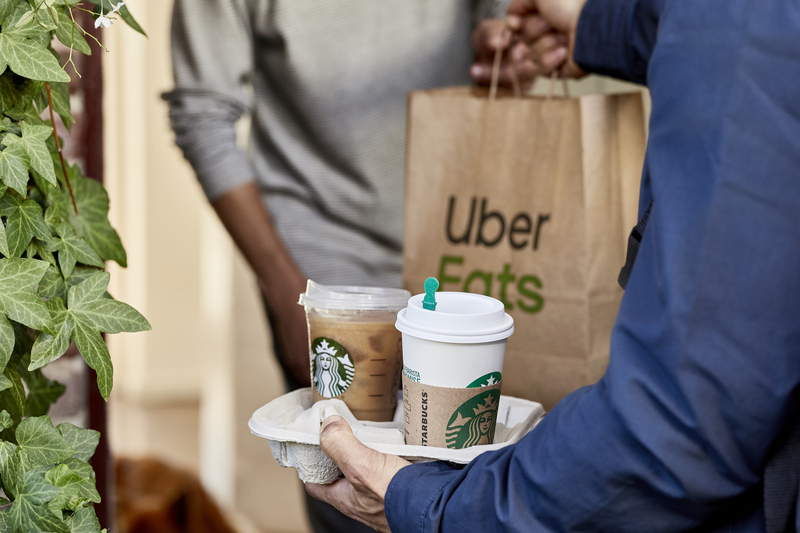 A significant amount of Uber Eats gross bookings — or total sales — come from its multiple restaurant chain partners, according to the company. Uber Eats now finds itself regularly completing deliveries to diners at a loss, thanks to the discounted rates companies negotiate. Uber Eats’ take rate — or adjusted net revenue per order — was 4 percent in 2016, according to company financials. The figure jumped to 12 percent in 2017 after a spike in total orders on its platform from chain restaurants and increased delivery fees. The number then fell to 10 percent last year, due to increased competition in the U.S. and India, an abundance of small orders placed by diners, and lower service fees charged to larger restaurants. Uber Eats addressed its small order problem last month by charging app users a $2 flat fee on orders under $10, in addition to existing charges, to make up for losses. It may also opt to reduce driver incentives in select cities to increase returns, executives said. The food delivery service reached $7.9 billion in gross bookings in 2018, more than double the amount it reported the year prior. Grubhub is the official delivery partner of Yum Brands — owner of Taco Bell, Pizza Hut, and KFC. According to details of the partnership forged in February 2018, Yum Brands’ franchisees do not pay delivery fees, and instead make identical profits on delivery orders as they do in-store. Increased investments in national advertising with chains and the launch of 125 new delivery markets in the fourth quarter of 2018 also led Grubhub’s fourth quarter earnings to miss analysts’ estimates. Both its stock price and investors went into a frenzy following reported net income for the year that fell 21 percent to $78.5 million.